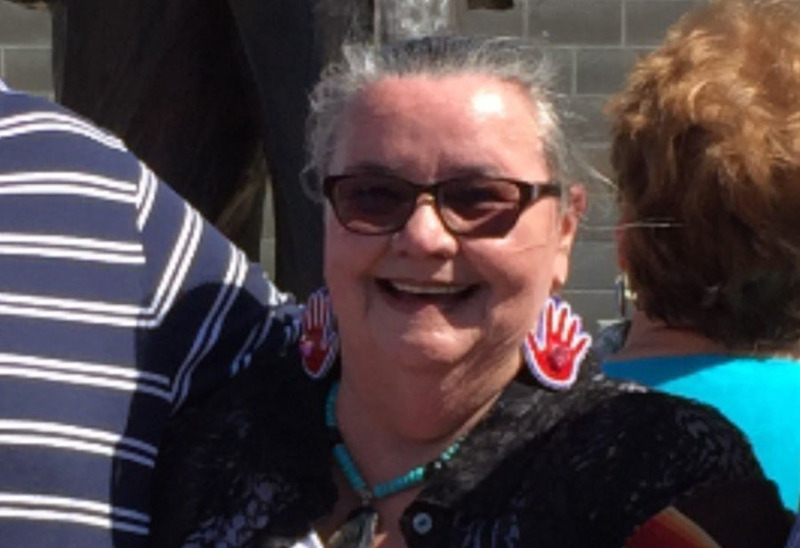 Jinx Norene Deal Geurin, went to be with the Great Spirit on November 21, 2018. She was surrounded by many who loved her. Jinx was born on December 22, 1942, to Jim and Josephine Deal in Barnsdall, Oklahoma where she grew up and attended school with her sisters Jolene, Julia and Janie. She was the great-granddaughter of Chief James Bigheart and she was very proud of her Osage heritage. She helped many people including her family here, in California, Colorado, and Oregon participate and learn about the traditional ways of the Osage people. She was a participant of the dances by helping her own family dressing and anyone else who needed her assistance. Any given year she could have twenty or more family members in her home and anyone else that needed a place to stay during the Osage Indian Dances. She always made everyone feel welcomed and loved. She left her mark on a lot of people and it was everyone’s privilege to meet her and to become her friend. During the dances, one way she would help would be to donate money to the cooks and make sure the family appreciated all the hard work done during that time. Many were grateful for her kindness and generosity. Jinx loved living in Pawhuska and the people she got to know there. She never met a stranger. Another way she contributed to the Pawhuska community was sponsoring a little girl to take ballet lessons. Jinx was very active in Osage politics as well as the Osage Mineral Council and Congress. “Jinxie” as she was known by many loved to go to the casinos and was quite lucky. She also spent time with many friends and enjoyed going to dinner or just spending time together. She leaves behind a son, Jim Backward and wife Cheryl of Claremore, a daughter, Sidney Wright and fiancee’ Nelson Plummer of Sperry, a son, Amos Tecumseh Jr. of Tulsa, sisters, Julia Seals of Claremore, and Florence Deal and a brother Sam Deal and several grandchildren, and great-grandchildren, along with many cousins, nieces, nephews and friends. She was preceded in death by her husband, Howard Geurin, her parents, James C. Deal and Josephine (Williams) Deal, sisters, Jolene Campbell, Janie Deal, Joy and Jeannie Deal, Mary Deal and brother, Charles (Sonny) Deal. Memorial services will be held at 10:30 A.M. on Saturday, December 22, 2018, in the Stumpff Funeral Home Chapel.